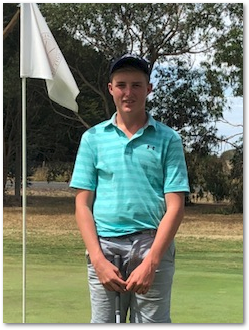 On Tuesday 19th March, Josh Brown competed in the School Sport Victoria Golf Tournament in Port Fairy. Josh played 9 holes, finishing 1st in the senior boys competition, with an impressive 36 off the stick/to par. Josh has now qualified to compete at the SSV State Championship on the 24th May at The Metropolitan Golf Club, Oakleigh. Congratulations Josh on this fantastic result.